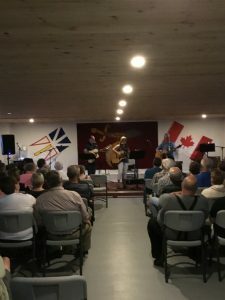 August 11th at the Recreation Centre a Fundraiser concert was held by the Willis Brothers Newman and Lorne. 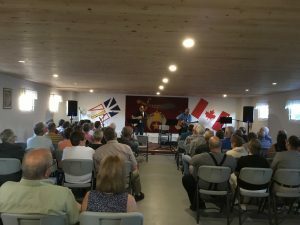 They played some old time country, gospel and Newfoundland music. They had the people attending the concert tapping their feet and singing along. Their Sister Juanita Button joined them on stage for a few tunes as well, Juanita is a Seasonal Resident of the Park. They played for about two hours and everyone just had the most wonderful time as their singing and little jokes was well received by those in attendance. The Park Board and Park Management would like to extend very sincere thank-you to Newman, Lorne and Juanita. Funds raised from the concert will go to the Patient Transportation Fund.